The era of “Quantified Self” (a term coined in 2007 by US WIRED founding executive editor Kevin Kelly) is relatively new. The first Fitbit digital step counters launched in late 2009, and we’ve since seen an explosion of various wearables, apps and digital health devices all riding the exponential wave of smaller and cheaper mobile-connected and app-ified sensors and computing. We are now at the point where it is possible to measure almost every component of human physiology and many elements of behavior. But just having data (in increasingly overwhelming amounts) from disparate devices and apps does not alone translate to better health and prevention or improved management of disease. 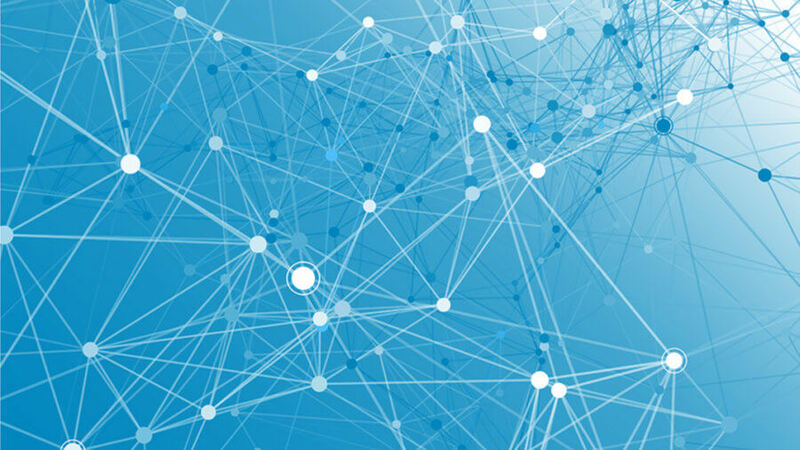 The data and analytics need to connect with clinical endeavors to be translated into knowledge and actionable information. As we head into 2017, the data dots are starting to be connected at meaningful scale, particularly as incentives in healthcare become more aligned towards value-based care, rewarding prevention, proactive care and improved outcomes. The internet of things is rapidly coming to the “internet of the body and healthcare,” from “hospital to phone.” With it comes the promise of leveraging these diverse mobile and connected technologies beyond common health and fitness applications to make them truly impactful for the prevention and management of acute and chronic disease, and to further bring healthcare outside of the four walls of a clinic or hospital. As an example, the NHS recently announced that it will soon provide apps and devices to help manage chronic diseases, such as diabetes and heart disease. We are moving beyond simple wrist-based accelerometers. Smartwatches regularly capture heart rate, and soon may add cuffless continuous blood pressure monitoring and glucose measures. Disposable vital-sign patches like those from SensiumVitals and VitalConnect can transmit streaming ECG, posture, temperature, stress data and more, anywhere there is a cell signal. Integrated home diagnostic “medical Tricorder” platforms and connected pill bottles are coming to market. These will be paired with Amazon Echo and Your.MD and similar healthcare chatbots and those with avatars like Sense.ly virtual nurse as interfaces. Mental health can be discerned from analyzing our speech and the “digital exhaust” from our smartphones. Breath can be analyzed for more than alcohol, to track hydration status and molecules that can indicate a metabolic or malignant disease. Sensors in our beds or rings can readily track the quantity and quality of sleep. Connected onesies or sensor-fitted pacifiers can track the vitals and activity of our newborns. New wearables are being developed to track gut activity (helpful after a surgery or in patients with irritable bowel disease). Consumer EEGs are now on the market that can measure brainwaves and help entrain mindfulness and meditation, and perhaps detect cognitive problems early. Startups are selling “insideables” (sensors in our bodies, from contact lenses to glucometers), even “trainables” (such as Upright, a device that buzzes your back when slouching to entrain a better posture, which help many with lower-back pain). This, paired with an explosion of available genomic data (from initiatives like the Genomics England 100,000 Genome project) which can help stratify risk and select the most patient-specific prevention and interventions. So, although it’s exciting to witness the explosion of personal “omics,” wearables, connected devices and thousands of health-related apps, the impact may be a big “so what?” if the information isn’t made easily accessible, digestible and actionable. Few individuals, whether a healthy triathlete or a patient struggling to manage a chronic disease, want to wear and charge multiple devices, log in to and manage several apps, and be fed raw or fragmented information that is not easily understandable or actionable nor connected to their coaching or medical team. Similarly, clinicians need to have access to their patients’ data in a useful, absorbable and reliable way that integrates seamlessly with their clinical workflow. No cardiologist wants to be liable for monitoring streaming 24/7 ECGs that can flow from smart sticky plasters, nor does your nurse practitioner want to have to log into your Fitbit account to review your activity and heart-rate data. 1. They are easy to use and reliably obtain accurate physiological data. 2. The information flowing from them is delivered and presented to the clinician in a useful, actionable form. 3. Machine learning and data analytics can be applied to extract the useful information and help make it actionable. 4. Incentives are aligned, including reimbursement to providers for leveraging connected care. As we enter 2017, we will begin to move from a “Quantified Self” era, where the data has generally remained siloed on the devices and apps of the individual and not integrated into clinical care, to the emergence of “Quantified Health,” where the data from common consumers’ wearables, scales, BP cuffs, glucometers and even home lab data, will flow through consumer’s smartphones (via Apple’s HealthKit and more recently via Google Fit and Samsung’s S-Health) and integrate into electronic medical records (EMRs) of the clinician. This will bring feedback loops which can communicate back to individual patients, engaging and empowering patients along the way. Increasingly, like the check engine lights in our cars, software will check and parse the data from these streams to help identify trends and alert the patient and their care teams much earlier. Startups such as Sentrian are making sense of remote patient data to decrease preventable hospital admissions by making predictions, alerting patients and caregivers to act early in the course of changes or deterioration. The first examples of the check engine light for the body leveraging multiple signals are being demonstrated, as recently published by Stanford genetics professor Michael Synder—the integration of his wearable data enabled a diagnosis of Lyme disease before it was even suspected. Healthcare systems like the NHS are beginning to “prescribe” connected health technologies in trials of digital health coaching for chronic conditions such as diabetes and in the NHS Connected Asthma program. As demonstrated by Ochsner Health System in Louisiana, smartwatches, phones and simple, connected blood-pressure-sensing cuffs demonstrated significantly improved outcomes in the treatment of hypertension. At the Mayo clinic, prescribing an app to heart-failure patients, along with a connected scale and blood-pressure cuff, reduced hospital readmissions by 40 percent. While challenges in how we regulate, pay for and integrate into the care continuum remain, the quantification of health will have true uses, can be crowdsourced and shared, and will improve outcomes (and perhaps even lower costs) across healthcare. This article was originally published in WIRED World in 2017. WIRED’s fifth annual trends briefing, predicting what’s coming next in the worlds of technology, science and design. 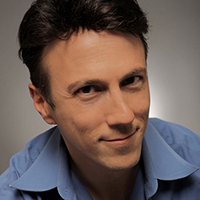 Daniel Kraft, MD is faculty chair for medicine and neuroscience at Singularity University and founded and chairs the Exponential Medicine Conference (next being held Nov 6–9th, 2017).